Prince Ranier Grimaldi was born on 31 May 1923 at Monaco.1 He was the son of Count Pierre de Polignac and Princess Charlotte Louvet.1 Prince Ranier Grimaldi married Grace Patricia Kelly on 18 April 1956 at Monaco.1 Prince Ranier Grimaldi died on 6 April 2005 at Monaco at age 81. PHILADELPHIA (AP) – Tug McGraw walked out to the mound at Veterans Stadium four months ago and gave everyone one last thrill. With a sellout crowd watching and nearly 70 current and former Philadelphia Phillies standing on the field, McGraw re-enacted the final pitch of the 1980 World Series when he struck out Kansas City's Willie Wilson, raised his arms in triumph and leapt off the mound. McGraw, the zany relief pitcher who coined the phrase "You Gotta Believe" with the New York Mets and later closed out Philadelphia's only World Series championship, died Monday. He was 59. McGraw died of brain cancer at the home of his son, country music star Tim McGraw, outside of Nashville, according to Laurie Hawkins, a family spokesperson. He had been battling the disease since March, when he underwent surgery for a malignant tumor. "To know Tug was to love him," Phillies chairman Bill Giles said. "He was more than just a pitcher, he was loved by everyone that knew him. He had a special spirit that will never be forgotten by anyone." McGraw's illness came as a shock to fans and friends alike last spring. He was at Phillies' training camp in Clearwater, Fla., as a special instructor, looking fine and acting as funny as ever, joking with players and catching pop flies behind his back. 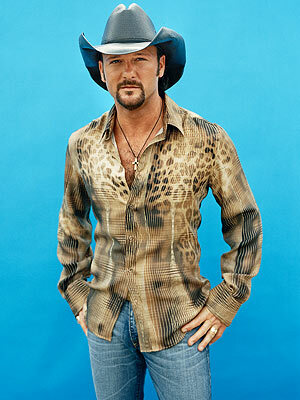 But on March 12, McGraw was hospitalized and the tumor was discovered. He later said there had been signs something was wrong. For example, he mistakenly showed up at the ballpark on an off day. "We lost a piece of Mets history," Mets owner Fred Wilpon said. "Tug was a battler on and off the field. We know how hard he fought this disease. He'll be sorely missed by all." Especially former Phillies teammate and Hall of Famer Mike Schmidt. "He put up a gallant fight," Schmidt said. "Publicly, he never let on that he had gotten a raw deal. He was Tug through the entire thing. As he always said, 'I front-loaded my life, just like my contract.' His passing is hard to take because his presence meant so much to people around him." Bob Boone, the Phillies' catcher from 1972-81, remained a close friend, too. "I know he got more living out of his 59 years than anybody," Boone said from his home in California. "What you saw was what Tug was. There was no phoniness at all. He loved people and loved life." McGraw was in Philadelphia several times last summer, and drew the loudest ovation during the Vet's closing ceremonies in September. "It's a very sad day," baseball commissioner Bud Selig said in Milwaukee. "He was really a marvelous pitcher and a great baseball personality." McGraw popularized the phrase "You Gotta Believe" during the Mets' 1973 NL championship season and carried the slogan through his illness, vowing he'd be on hand next month to push the button to bring down the Vet. "Tug McGraw was one of the great characters of the game of baseball," said Hall of Famer Tom Seaver, McGraw's teammate with the Mets' 1969 championship team. "He just had a joy for life and living. But what people sometimes overlook because he was always happy-go-lucky was what kind of competitor he was on the mound. No one competed with more intensity than he did." McGraw was known for charging off the mound, slapping his glove on his thigh and tapping his chest after a close call. "Patting his hand on his heart after a guy hits a home run foul, who would do that in the heat of the battle?" said Phillies manager Larry Bowa, who played with McGraw on the 1980 championship team. "But it showed he had no fear. He was loose. That's how he played the game." A left-hander who threw a screwball, McGraw could be a bit of screwball himself. Once asked whether he preferred to play on a grass field or an artificial surface, he said, "I don't know. I never smoked any AstroTurf." McGraw's playful personality often overshadowed his talent. He played on three World Series teams and was an outstanding big-game pitcher during his 19-year career. In 26 postseason games, he was 3-3 with eight saves and a 2.23 ERA. A two-time All-Star, McGraw went 96-92 in his career with a 3.14 ERA and 180 saves. He made his major league debut with the Mets in 1965 at age 20 and finished with the Phillies in 1984. After the 1974 season, McGraw was traded by the Mets to Philadelphia in a six-player swap that sent John Stearns to New York. After fanning Wilson for the last out of the 1980 Series, McGraw waited on the mound for Schmidt to come from third base and jump into his arms. "That's the freeze frame when you look at that series," Bowa said. It worked just the way Tug and Schmitty had planned it, too. "Tug and I drove to the ballpark together before that final game and I made him promise that if he was on the mound for that final out to wait for me," Schmidt later recalled. "Both of us knew whoever was on or near that mound for the final out would probably be on the cover of Sports Illustrated," he said. "Sure enough, it worked. Tug struck out Wilson and then turned to look at me at third base. Of course I came running in and jumped on him." In addition to his son Tim, McGraw is survived by sons Mark and Matthew McGraw; a daughter, Cari Velardo, and four grandchildren. His daughter-in-law is country music star Faith Hill, the wife of Tim. [S182] Social Security Death Index (on-line), Ancestry.com, SSDI, Ancestry.com, SSAN 559-60-4035. Samuel Timothy McGraw was born on 1 May 1967 at Delhi, Richland Parish, LA. He was the son of Frank Edwin McGraw Jr. and Elizabeth Ann D'Agostino. Samuel Timothy McGraw married Audrey Faith Perry on 6 October 1996. Theodorick Lee was born on 3 September 1766. He was the son of Maj. Gen Henry Lee II and Lucy Grymes. Theodorick Lee married Catherine Hite. Theodorick Lee died on 10 April 1849 at age 82. Resident of Pliny Court Passes Away at Home in 87th Year Following Long Illness. Mrs. Emma Gratia Hollister Royce, 86, of 7 Pliny Court, widow of Lucien Merriam Royce, a Civil War veteran, and descendant of many distinguished Connecticut settlers, died Thursday night at her home after a long illness. Mrs Royce was born in Hartford January 4, 852, daughter of Edwin Hubbel Hollister, Civil War veteran, and Emilyu Harriet Phleps Hollister, and was graduated from the Hartford Public High School in 1870, receiving a $100 prize in literature. Following graduation she taught at the Hartford Public High School and later at the Harriet Beecher Stowe School for Young Women. She was married to Mr. Royce October 15, 1872. Her husband was a medical officer in charge of the Officers Hospital i Baton Rouge, Louisiana, during the Civil War, and for three years was medical officer of the United States battleship "Acacia" of the blockading squadron under Admiral Farragut. Mr. Royce was a descendant of John Hollister, Richard Treat, John Talcott, Joseph Loomis, Francis Bushnell, William Phelps, Edward Griswold, Thomas Holcomb, James Eno, Huge Wells, Mathew Allyer, Rev. John Warhamn, Henry Wolcott, William Wadsworth, Sir Peter Wouters Vander Meulen, John Bissell, John Mason, Governor William Bradford and many others of the first settlers of New England. She had eight Revolutionary War ancestors including Major John Hutchinson Buell, member of the First Order of Cincinnati and personal aide to George Washington; Captain Ebenezer Fitch Bissell, Captain Josiah Phelps Jr., Josiah Phelps Sr., Aaron Phelps and Nathaniel Hollister. She leaves a son, Robert Hollister Royce of Woodstock, Vt., and a daughter, MNiss Helen Elizabeth Royce, teacher at the Brown School. She is also the mother of the late Lucy Atwater Royce of Madison and Hartford. The funeral will beheld Saturday at 1 p.m. at her home with burial in Elm Grove Cemetery, Windsor. [S284] Courant, 4 February 1938. [S730] Lafayette Wallace Case, Holister Family of America, page 511. Nancy May Eggleston was born on 9 May 1917 at Manhattan, New York Co., NY. She married Edward Stewart Holcombe II, son of Edward Stewart Holcombe and Elizabeth Mallen. Nancy May Eggleston died on 17 September 2008 at Mt. Pleasant, SC, at age 91. Nancy Eggleston Holcomb, 91, wife of Edward S. Holcomb, of Mt. Pleasant, SC died September 17, 2008 at her home. Nancy was born May 9, 1917 in Manhattan, New York City, NY, the daughter of the late Dr. Cary and Mary Parker Eggleston. She was a Research Biologist who taught at NYU Dental School; Cornell University Medical School, and Sloan Kettering Cancer Center. Nancy, who was of the Presbyterian faith, enjoyed an active lifestyle as an excellent sailor and water skier; an exceptional tennis player on the Westside Tennis Center courts in NYC; a Boy Scout Leader; and a seamstress. Nancy will be deeply missed by her husband Edward of 61 years; her two sons: Cary Holcomb and his wife Heather of Darien, CT; and Richard Holcomb and his wife Jacquie of Christ Church, New Zealand. She was a loving grandmother to two grandsons, Taylor Holcomb and Benjamin Holcomb. She will also be missed by her brother, Forrest Cary Eggleston of Mechanicsburg, PA. Nancy will be privately remembered by her family and friends. Horace H. and Ethel M. were enumerated in the 1930 Keene, Cheshire Co., New Hampshire federal census. He was a city laborer, age 42, born in Ct; she was 38, born in New Hampshire. Children in the household were Doris C. 6, Francis J. 11 months, and Samuel P. 0 months. Horace H. and Ethel E. were enumerated in the 1940 Keene, Cheshire Co., New Hampshire, federal census. He was a WPA forestry project laborer, age 52, born in CT; she was 47, born in New Hampshire. Children in the household, all born in New Hampshire, were John H. 10, Francis S. 9, Rita E. 5, and Richard F. 4. Frank Smith Hemingway was born on 21 December 1839 at NH. He was the son of Jesse Hemingway and Lois Richardson. Frank Smith Hemingway married Delia Ann Randall on 11 September 1862. Frank Smith Hemingway died on 1 July 1919 at MN at age 79. Albert and Edith Fellows were enumerated in the 1920 Simsbury, Hartford Co., CT federal census. He was a laborer age 21, she was 21. Children in the household were Elbert 2, and Marjory 1. Albert and Edith were again enumerated in the 1930 Simsbury, federal census. He was a farm laborer, age 34, she was 32. Children in the household were Elbert 12, Martie 11, Thomas 7, Arlene 6, Wilbur 4, Burton 3, Bernice 2, and Howard 10 months. They enumerated in the 1940 Union, Tolland Co., CT, federal census. He was a wood chopper age 42, she was 42. Children in the household were Thomas 17, and Carrol 9 months. Hannah was enumerated in the 1900 Scranton, Lackawanna Co., PA, federal census living on Mary Street in the household of her parents John and Mary. John was a teamster, age 53, she was 61. Other children in the household were Thomas 33, Ester 23,and Lizzie 2.. Mary had 10 children of whom 6 were still living. John and Mary have frequently been misidentified as the parents of Hannah Jones, the grandmother of Hillary Diane Rodham Clinton. They remain documented here to prevent later researchers from making the same error. THIS IS THE WRONG HANNAH. Megan Smolenyak’s recent research into Hillary’s ancestry found that many published trees have incorrectly identified her grandmother, Hannah Jones. There were two girls named Hannah Jones born in Scranton, PA, circa 1882-1883 and the wrong one had often been incorrectly selected. Hugh Simpson Rodham had eloped with Hannah Jones to Binghampton, New York on Memorial Day, May 30, 1902. Binghampton was the “Gretna Green” of its day where love sick couples from over the border in Pennsylvania could go to marry without as many restrictions. There was only a brief announcement in the Scranton Tribune Times that said “Miss Anna Jones, of Brick avenue, was quietly wedded to Hugh Rodham, of Park place, at Binghamton, Memorial Day. Mr. and Mrs. Roddham will make their residence with the bride’s parents on Brick avenue.”Mary, married but with her husband nowhere in sight was enumerated in the 1900 Scranton Ward1, Lackawanna Co., PA, federal census living on Brick Ave. She was born in February 1850 in Wales; she had given birth to 14 children but only 4 had survived; they were renting. Children in the household were Annie 18, Reese 30, and David 13. HRH Princess Charlotte Elizabeth Diana of Cambridge was born on 2 May 2015 at St. Mary's Hospital, Paddington, London, England. She was the daughter of HRH Prince William Arthur Philip Louis Duke of Cambridge and Catherine Elizabeth Middleton. Through her paternal grandfather, Charles, Prince of Wales, she is a member of the House of Windsor. Through her paternal grandmother, Diana, Princess of Wales, she descends from the Spencer family, the Earl Spencer, and the Baron Fermoy family, and more anciently from Henry FitzRoy, 1st Duke of Grafton, and Charles Lennox, 1st Duke of Richmond, two of the illegitimate sons of King Charles II. Through her great-grandfather the Duke of Edinburgh, she is a descendant of Elimar I, Count of Oldenburg, and as such a member of the House of Oldenburg, one of Europe's oldest royal houses, and more specifically the cadet branch known as the House of Glücksburg, founded by her paternal ancestor Friedrich Wilhelm, Duke of Schleswig-Holstein-Sonderburg-Glücksburg. Her ancestors on the male line include five kings: Christian I of Denmark, Frederick I of Denmark, Christian III of Denmark, Christian IX of Denmark and George I of Greece, and also eleven counts of Oldenburg, two dukes of Schleswig-Holstein-Sonderburg, five dukes of Schleswig-Holstein-Sonderburg-Beck, and one duke of Schleswig-Holstein-Sonderburg-Glücksburg. Through her maternal grandfather she is descended from the Lupton family, who are described in the City of Leeds Archives as "landed gentry, a political and business dynasty". Elizabeth Ann Britton was born on 22 October 1919 at Asbury Park, Monmouth Co., NJ. She was the daughter of President Warren Gamaliel Harding and Nan Britton. Elizabeth Ann Britton was also known as Elizabeth Ann Harding. She died on 17 November 2005 at OR at age 86. Jeremiah Reed Holcombe was also known as Jerry Holcombe. He was born on 6 July 1872 at Clay Co., WV.1 He was the son of Zachary Thomas Holcombe and Eunice Neal Osborne.1 Jeremiah Reed Holcombe married Lydia Moore on 6 September 1894 at Clay Co., WV.1 Jeremiah Reed Holcombe died in 1912. He was buried at Holcomb Cemetery, Elkhurst, Clay Co., WV. "Jery" and Lydia J. were enumerated in the 1910 Pleasant, Clay Co. WV, federal census. He was a farmer age 39, she was 32. Children in the household were Fanny M. 15, Jeremy S. M. 12, Herbert L. 11, Amie M. 9, Gladis A. 7, Edith D. 5, Lawson D. 3, and Leon O. 1. Elsie Hampton married William Thompson. Gov. Eric Holcombe was born on 2 May 1968 at Indianapolis, Marion Co., IN. Holcomb graduated from Pike High School in Indianapolis, Indiana, and Hanover College in Hanover, Indiana, in 1990. He served in the United States Navy for six years. He was stationed in Jacksonville, Florida, and in Lisbon, Portugal. He began working for John Hostettler, a member of the United States House of Representatives, in 1997. In 2000, Holcomb ran for the Indiana House of Representatives against John Frenz, but was defeated by Frenz. Holcomb served as an advisor to Mitch Daniels, the Governor of Indiana, beginning in 2003. He became Chairman of the Indiana Republican Party in 2010. In 2013, he resigned to become the state Chief of Staff to U.S. Senator Dan Coats. When Coats announced that he would not run for reelection to the Senate in the 2016 election in March 2015, Holcomb announced his intention to run. In February 2016, Holcomb withdrew from the Senate race. Days later, Lieutenant Governor Sue Ellspermann announced she would resign her post, and Governor Mike Pence chose Holcomb to succeed her and serve as his running mate in the 2016 gubernatorial election. Holcomb was sworn in as Lieutenant Governor on March 3. After Pence withdrew from the gubernatorial race to be Donald Trump's running mate in the 2016 presidential election, Holcomb ended his candidacy for Lieutenant Governor in order to seek the gubernatorial nomination. The Indiana State Republican Committee selected Holcomb to replace Pence as their gubernatorial nominee. Holcomb defeated John R. Gregg to become the next Governor of Indiana. 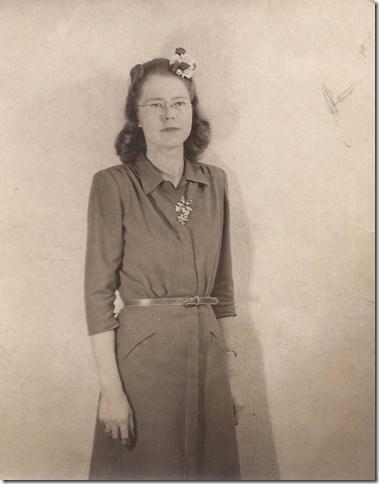 Anna Marie Albertson was born on 14 September 1904 at Urness, Douglas Co., MN. She married Eugene Gardner Holcombe, son of Marshall Porter Holcombe and Edna Gertrude Gardner, on 18 October 1930 at Lemmon, Perkins Co., SD. Anna Marie Albertson died in January 1986 at Buffalo, Harding Co., MT, at age 81.